Insurers know that to stay relevant in today’s increasingly competitive environment they must satisfy evolving customer expectations with a selection of innovative products, while also reducing claims and operational costs. Sustained success is contingent upon short time-to-market, the ability to integrate external and internal data, and agile product delivery. It’s no wonder carriers are implementing digital transformation initiatives to modernize their core platforms, building them on cloud foundations and deploying as minimum viable products with open architectures. Organizations tend to follow traditional, siloed operating models as they attempt to implement digital transformation initiatives, but siloes can hinder the agility necessary for efficient product management lifecycles. Product enhancements also need fast and focused development cycles. It goes without saying, laggards will have a hard time retaining market share and will also miss out on the most profitable opportunities. To fully reap the benefits of digital transformation, insurers must create a change-capable ecosystem. How quickly can the firm build, test, and deploy products? How swiftly can it capture product feedback? How efficiently can it make changes to existing products? Does the firm have the capacity to deliver new offerings on top of existing products and services? Can the carrier ingest more data sources into the evaluation process to select the right risk at the right price? Insurance firms can overcome the challenges of digital transformation by adopting a DevOps approach. In comparison with the slow and siloed traditional software development and deployment model, DevOps fosters collaboration between development and operations staff throughout the product lifecycle, from creation to operation. Within an increasingly customer-centric business world, DevOps puts a high value on operations. Working in tandem with RunOps – which ensures digital transformation solutions deliver value to customers – DevOps concentrates on continuous integration, delivery, and improvement through the automation and standardization of processes across the product management lifecycle. At its core, the model fosters the involvement of people, process, and technology in product development. A DevOps/RunOps model encourages a highly-collaborative organizational structure, minimizes hand-offs, and ensures a smooth workflow. Automation and business self-service are two value levers of a DevOps/RunOps model. Automated and standardized processes allow for small, frequent releases, and enable a fail-fast approach. The model also helps insurers evaluate simulated product performance with minimal or no IT involvement. After product launch, technical and functional performance monitoring is continuous – and corrections or continuous enhancements can be implemented with shorter lead times, and at lower cost and higher frequency. 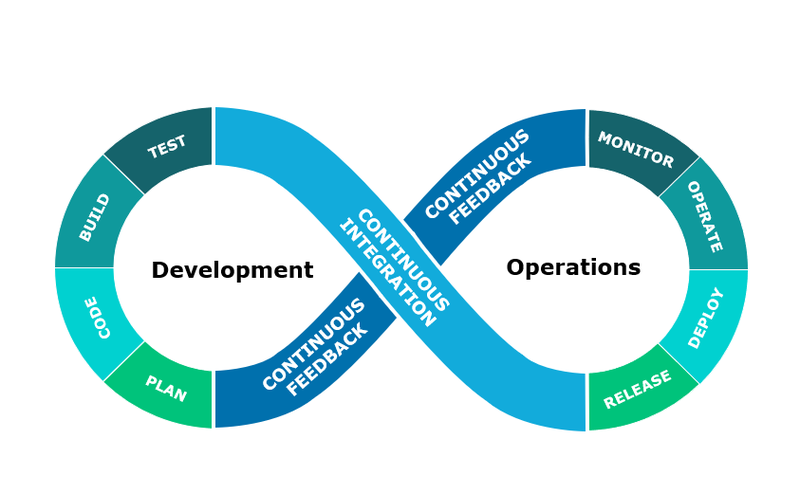 The DevOps/RunOps model is a continuum fueled by continuous integration and feedback. It can enable insurers to build, test, and deploy products quickly and then help measure product effectiveness. Metrics are captured, bottlenecks spotted, and potential errors identified before they occur. Using this model requires sweeping changes in the insurance operating model, but brings enormous benefits in the short, mid, and long term. The model has proven to be valuable by reducing time to market for transformation programs, ensuring the platform is built based on the usage of the system – truly focusing on value and not on assumptions. Since the architecture is built based on adaptability and componentization, this model can enable an increasingly evergreen platform approach. Insurers that adopt DevOps/RunOps principles can complete their digital transformation faster by becoming more nimble, cost-efficient, and operationally resilient. The result? Growth, expansion, and future proofing.